In today’s world it would be hard to find someone who hasn’t heard of android. Do you have a killer app idea that you think is going to change the world? With around 2 billion monthly users worldwide it is an interesting and one of the major platform to develop apps for. As this chart points out, it is a lucrative career choice even if you are working for somebody. Source. An IDE or Integrated Development Environment is a software to run and execute your code. It has a lot of features which make development faster like code completion, organizing your project, searching for resources in your project, debugging your code etc. It can also be extended by installing plugins. For example, there is a plugin called key promoter which helps you learn keyboard shortcuts for the IDE by showing a modal window with the shortcut when you do an action/sequence of actions 3 times via mouse. 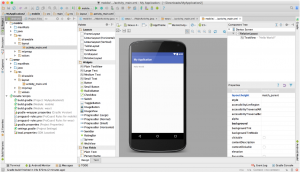 For Android development the de facto IDE is Android Studio. It used to be eclipse previously but Google is not supporting it anymore. Android studio is a customized version of Intellij Idea by Jetbrains . Below is a photo of the Android Studio interface. Android SDK (software development kit) is the set of libraries and resources (documentation, images, emulator etc ) that are required for development of application. A library is a collection of useful code which can be shared across easily. Imagine someone has written some code to perform some mathematical calculation. If they want to share their code to others, the easiest way would be to bundle it as a library and share.Android SDK comes bundled with android studio but can be downloaded separately and configured along. Dialogs (sometimes called modal windows) are used when there is immediate interaction needed with the user. The dialogs stop the user’s interaction from any other UI component till any action is taken on it. Most of the times they are used to alert user of something/get confirmation or used to get input without which the app cannot proceed further. 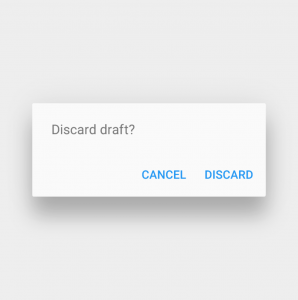 An example would be a “Discard draft?” popup message. For a good user experience we need to save regularly needed user data in our app. For e.g. Facebook app saves your login info so that you don’t have to login every time when you open their app. Almost all the Android phones have an ability to get your current location. A lot of apps use this feature to give a better user experience. For e.g. navigation apps like Google maps use your location information to help you navigate from one location to another. Dating apps use this feature to find other users near you. As an android developer it is important to know how to access user location so that it could be used to give them a better experience or integrate with your service. I believe that mapping technology along with gps has revolutionised travel. Google maps provide you with navigation, mapping, live traffic etc. As a developer you can leverage these services google provides in your own application. Google provides services for geocoding (converting location into an address) maps, navigation etc. to developers as well. 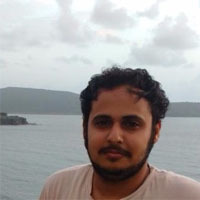 I'm a software programmer who has worked with a variety of technologies like Wordpress, J2EE, Android, Game development. I've published a book on game development with packt publications and a card game on Google Play store! My hobbies are trekking, reading and stargazing (and.. a TV series addict).